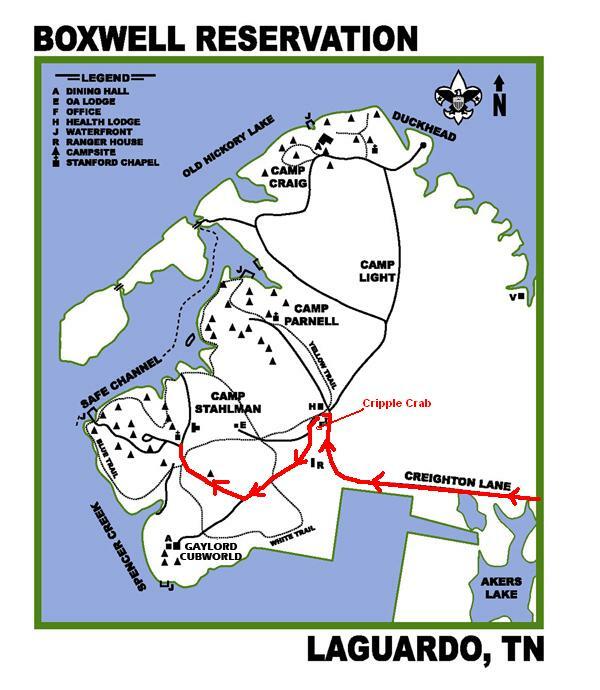 Troop 422 traditionally attends summer camp in Site 11 of Camp Stahlman at the Boxwell Scout Reservation. Visitors should check in and out at the Cripple Crab when arriving and leaving Boxwell. 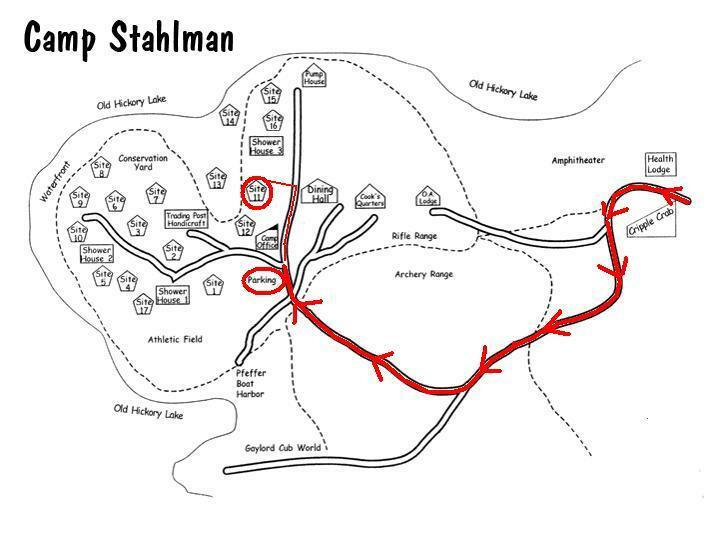 Visitors should park in the Stahlman parking lot and walk to Site 11.